This piece is the Scottish version of the Irish planxty “George Brabazon”, attributed to the famous blind harper Turlough O'Carloan (1670–1734). There is, however, no definitive evidence that it was really composed by the harper. 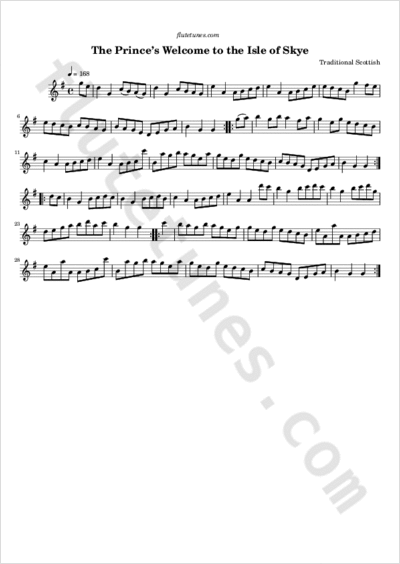 Early printings of the melody can be found in the Gillespie Manuscript of Perth (1768) and in the 4th volume of James Aird's Selection of Scotch, English, Irish and Foreign Tunes (1796), as well as in Gow's Repository of the Dance Music of Scotland (1802). Interestingly, the earliest Irish source for “George Brabazon” appears to be O'Neill's Music of Ireland, which was only published in 1903, more than a century later.